This week Norway opened a prototype of an osmotic power plant near Oslo that generates clean, renewable energy from water. Osmotic power plants can be a welcome addition to other clean, renewable energy sources such as solar, wind and geothermal power. It harnesses the global potential to generate as much energy as China consumed in 2002. Osmotic power plants generate energy from the difference in salt concentration between freshwater and saltwater. The waste product is brackish water. Osmosis describes the transportation of a solvent through a semipermeable membrane from a less concentrated solution to a more concentrated one. Plants use osmosis to absorb moisture through their leaves and retain it and your kidneys by filtering unwanted substances out of your blood excreting the waste product as urine. In the Norwegian power plant freshwater and saltwater are separately pumped into a chamber divided by an artificial membrane. The salt in the seawater pulls the freshwater through the membrane increasing the pressure on the seawater side. The pressure is equal to a 120 meter water column. The water pressure can be used to generate electricity in a turbine. Osmotic power plants could be build any place where freshwater meets saltwater such as rivers running into the sea. 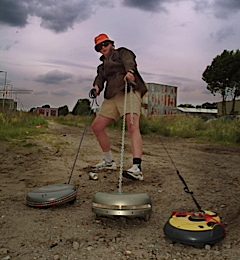 This prototype will be used for further study and development of this relatively new technology. 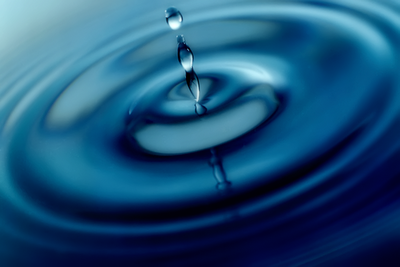 There’s another form of this osmotic ’blue energy’ being researched in the Netherlands. Instead of using the osmotic pressure phenomenon they use reverse electrodialysis (RED). Saltwater and freshwater are let through a stack of alternating cathode and anode exchange membranes. Positive and negative ions flowing back and forth produce up to 80 mV in each membrane. By attaching electrodes to the outside membranes the sum of all membranes add up to about 8 Volt. The Dutch are researching plans to build osmotic power plants in the Afsluitdijk, the dike that closed off the inner sea IJsselmeer from the North Sea 75 years ago, creating the largest lake in Western Europe. 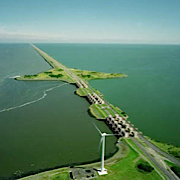 The Afsluitdijk is ideal for an osmotic power plant because on one side of the 32 kilometer dike is the saltwater of the North Sea and on the other the freshwater of the IJsselmeer. It’s also the ideal time to build such plans since the 75 year old dike needs improvement in the short term anyway. Blue energy could supply the Netherlands with an estimated 10% or more of its electricity needs.